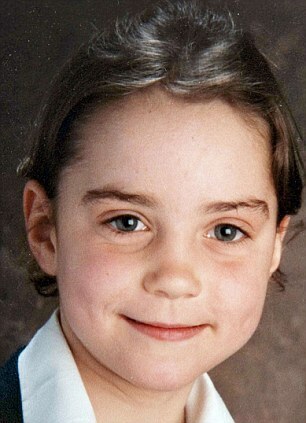 Duchess Kate: Kate's 30th Birthday, party plans, send Kate a card and childhood photos. 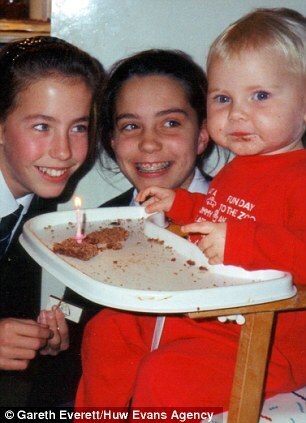 Kate's 30th Birthday, party plans, send Kate a card and childhood photos. Can you all believe Kate is turning 30 on Monday? I for one cannot. I've been following Kate's style and her relationship with William since the tender age of twelve, when Kate was a student at St. Andrews University. It's incredible to think how far they've come and I anticipate it will be another wonderful year for the Duchess. 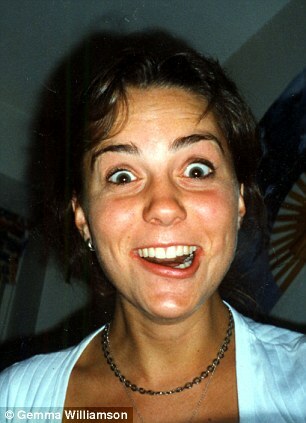 It's also a good time to look back on Kate's younger years. Four year old blonde Kate pictured with her father and Pippa in Jordan. 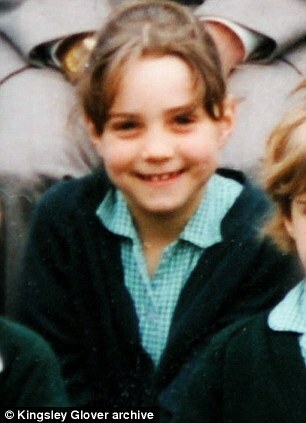 Kate looking adorable aged six. 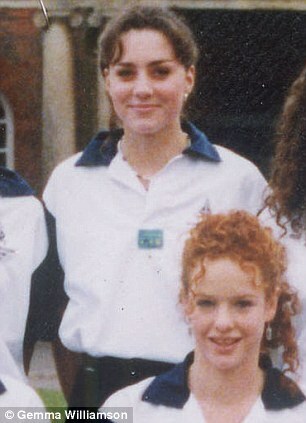 Kate attended St Andrew's prep school in pangbourne aged seven. Celebrating a victory in the school hockey team. Twelve year old Kate with braces attending a birthday party. 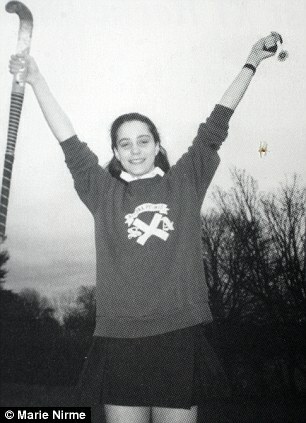 Fifteen year old Kate excelled at sport. Kate studied science and art for her A levels. The Daily Mail have several more photographs in their article here. We are interested to know how Kate will celebrate her birthday. According to Grazia, party planner Pippa and Prince Harry have some interesting ideas including an 80's bash. The party is set to include cocktails and karaoke. Royal reporter Richard Palmer heard Kate is planning a very low key celebration which is truthfully what I expected. Possibly a dinner with family and close friends? I would be more inclined to believe that it will be low key. However Kate chooses to celebrate I hope she has a wonderful time. Thank you both so much, The black favourite is my all time favourite too! I love your blog! Awesome header, that black McQueen dress is my new favorite too. Just stunning. My boyfriend is a web designer and made the header, I love it too. I really wanted the black McQueen to feature. 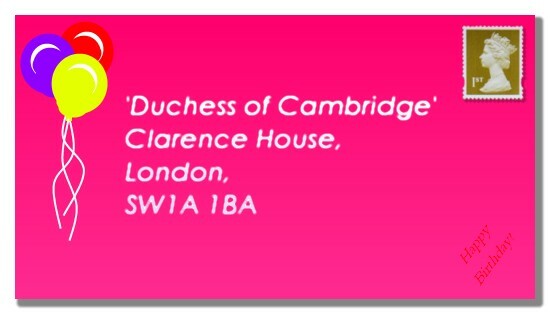 Looking forward to hearing about Kate's charities tomorrow! Why do you think she will announce them tomorrow? and which special guy did she meet?You mean william? I heard from someone very reliable that they are due to be released tomorrow. you mean someone said it publicly or its a private source close to you? A newspaper leaked the charities Kate had chosen but immediately had to remove the article as there is an embargo. So I can't be certain but I expect we will hear either late tonight or tomorrow. What I love about Kate is that she is always 'ladylike' in her presentation. I know that is an old-fashioned word and I am not an old feashioned person but I hate the trashy way a lot of young women choose to dress.....super tight, super short, lots of 'tanned' skin showing. It looks so uncomfortable too. Michelle Williams is another public figure who manages always to look pretty, modern and feminine.